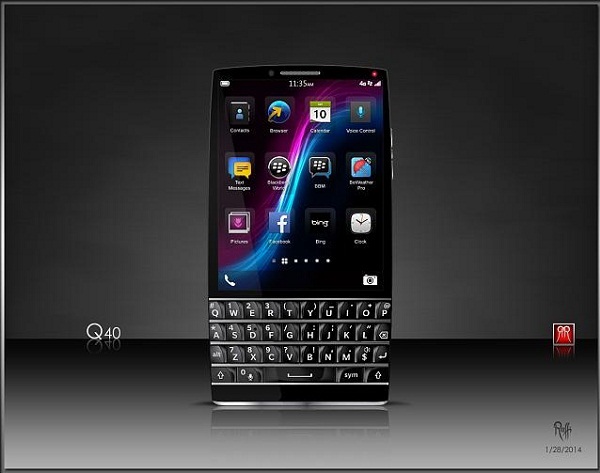 It’s been a long while since we’ve seen a BlackBerry concept, so we were happy to stumble upon this one. 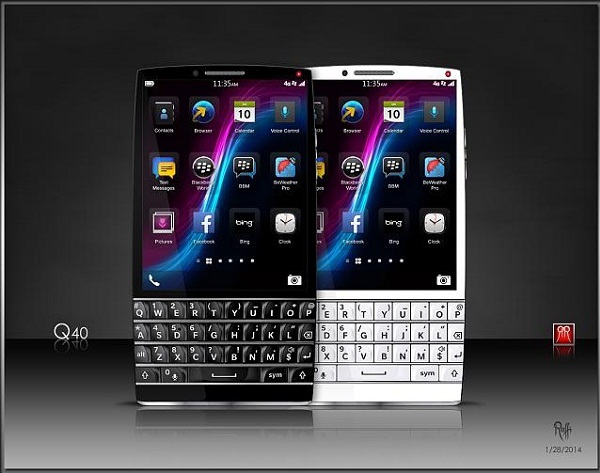 Meet the BlackBerry Q40, a modern device that manages to combine high end specs with a physical keyboard design. As you can see, the handset gets a bit fatter in its middle area and a bit sharper at the top and bottom. 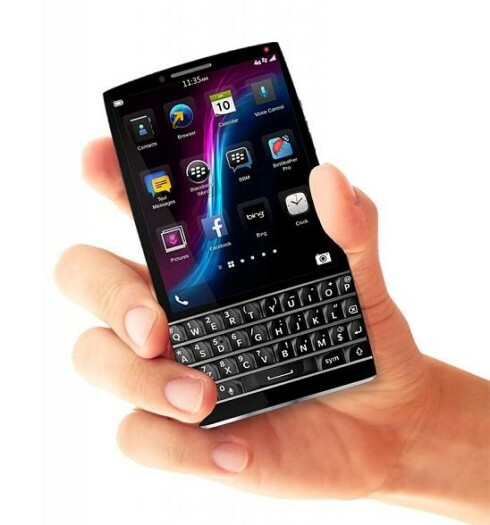 The edges are slightly curved and the source of the concept features a comment that speculates on its specs. Some of them are really unrealistic, like a 5 inch Super AMOLED screen, that would make the device huge. However, the rest of the specs, like 32 GB of storage, 3 GB of RAM, microUSB 3.0 and 2.2 GHz Snapdragon CPU sound nice. There’s also a 3200 mAh battery, a 13 megapixel camera and 4G LTE in the mix. Can all of those fit on a QWERTY handset in 2014?